He’s left audiences spellbound with his Academy Award-winning portrayal of King George VI in “The King’s Speech.” He’s displayed a surprisingly impressive set of stunt skills in Matthew Vaughn’s “Kingsman: the Secret Service.” He carved a permanent place for himself in the hearts of women the world over with his tenderly authentic portrayal of Mark Darcy in “Bridget Jones’s Diary.” But there’s a bit more to Colin Firth than a dive into a lake and the fact that thanks to him no one else can ever win an ugly sweater contest ever again. Ever. 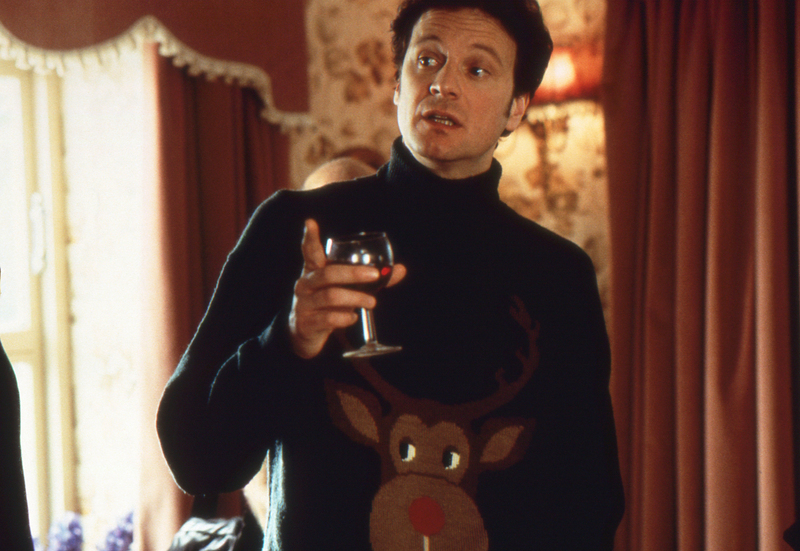 In honor of his birthday today, here’s a look at 5 times the world fell in love with Colin Firth. When he scooped up his Best Actor award at the Golden Globes in 2011 for “The King’s Speech,” the first of many accolades, it was easy to forget for 50 seconds that Firth was drawing on the talent for which he was being awarded. Nonetheless, post-gameshow press recaps praised him for essentially showing showbiz how it’s done. Go home, Hollywood. Colin’s got this one covered. On a side note, reenacting this scene in the rain while running to teach a class doesn’t conjure Colin from the shadows to save you, as I discovered, to my acute embarrassment. But that’s another story. Colin Firth is the king of deadpan, and that is all. When Ricky Gervais, albeit jokingly, called him a racist kitten-puncher at the 2012 Golden Globes, this was Firth’s response. Colin Firth 1, Ricky Gervais 0. In a 2006 interview, when asked to name the women in his life, Firth replied, “my wife, my mother, and Jane Austen.” While some of us have since speculated that this was largely a tongue-in-cheek jab at the fact that his role in the BBC’s wildly popular adaptation of Pride and Prejudice forever entrenched him in Darcy mania, I have to confess that despite my healthy skepticism, I allowed a tiny piece of my heart to drop into his hand at that moment. You’ve said it, Mr. Firth, and you can’t take it back. We’ve all seen “Bridget Jones’s Diary.” We all remember that fateful snowy kiss that was likely the primary catalyst for my decision to drag my last boyfriend with me to a wedding in Wisconsin in the dead of winter in the hope that he might be similarly inspired. (He wasn’t. Because you were wondering. And he’s not my boyfriend any more, for entirely unrelated reasons. Let’s be clear on that). But many people don’t know that Firth ad-libbed Mark Darcys forever classic line at the conclusion of that snowy kiss scene. Pro tip, nice boys: that’s how it’s done. So, Happy Birthday, Mr. Firth! What are your favorite Firth moments? #5 reigns supreme for all time.